Bioidentical Hormone Therapy | American Hormones, Inc. Patients and doctors across the United States have found they can rely on AHI to deliver a wide range of customized therapeutic services and hormone treatments. As a national compounding pharmacy, we are capable of tailoring any prescription to meet the unique needs of every single patient we serve, eliminating expensive, one-size-fits-all treatments and many side effects while delivering targeted, effective remedies for almost any ailment. 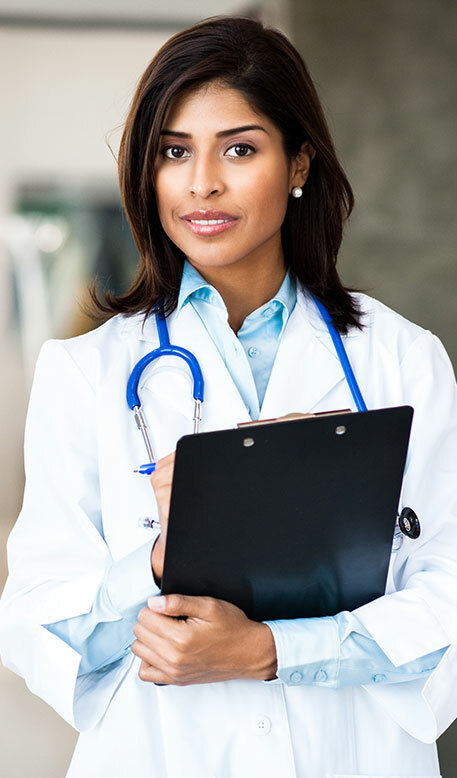 We are premier specialists in individualized hormones and pharmaceuticals that reflect the physician's judgment regarding the needs of a patient. This allows a path to optimized health. Over the years, we have provided custom hormone treatments to thousands of people seeking relief from a wide range of symptoms and medical conditions diagnosed by their physicians. What are hormones, and why might you want to consult my physician about them? From the Greek root "hormoa" which means "to set in motion," hormones are chemical messengers that control and regulate the activity of other cells or organs. Each hormone travels in the blood or extra-cellular fluid to one or more specific tissues or organs (containing target cells with special receptors) where it elicits a particular response. The hormones secreted by specialized glands such as the thyroid gland, the ovaries, the pancreas, or the testes are essential for every activity of daily living, including digestion, metabolism, growth, reproduction, mood control, aging, and sexual function. As we age, our hormone production declines — menopause for women or andropause for men — and it may also decline as a result of disease, exposure to toxins, or trauma. This decline causes the aging process to accelerate and may cause pronounced deterioration, both physically and mentally. Synthetic estrogen (Premarin® - conjugated estrogens equine) and synthetic progestin (Provera® - medroxyprogesterone acetate) are produced by a laboratory. They are chemically-altered hormones that are patented by pharmaceutical companies. These hormones are not identical to biologically-produced human hormones. They have been designed to try to elicit the same responses in your body as your biological hormones. Your body recognizes these hormones as foreign entities and may respond in a manner we call "side effects." Premarin® is a combination of many hormones obtained from pregnant horses, none of which are identical to human hormones. Provera® is a synthetic progestin that has been chemically altered not to be identical to human progesterone. Both products (and the combination of the two - Prempro®) have been implicated in a potentially serious side effect profile. How are pharmacy-compounded estrogen, testosterone, and progesterone produced? Precursors (sterols) to progesterone and estrogen are found in wild yams and soy, but the human body cannot convert these sterols to hormones. Through a simple process called hydrolysis, these chemicals are converted into progesterone, estrogen, and testosterone capable of being processed by the body. They are considered "natural" because they are derived from a natural plant source and are structurally identical to the hormones biologically made in the body. These hormones are then formulated by American Hormones, a specialty compounding pharmacy, into a strength and dosage form recommended by your physician. When first developed, synthetic hormones were well-received because they provided some of the benefits of hormonal replacement, such as controlling the symptoms of menopause and fighting osteoporosis. However, some women cannot tolerate synthetic hormones, often suffering side effects such as bloating, bleeding, or mood swings. Bioidentical hormone treatments can help alleviate these side effects based on the medical assessment and prescription of your physician. At AHI, we understand that no two patients are alike. Because every patient is different and has different needs, customized, compounded medications are an important part of quality medical care. With compounding, American Hormones can cater to patients with unique medical needs. Sometimes commercially available drugs are not suitable for a particular patient. For instance, a commercially available drug may not be available in the required dosage amount or delivery form, or it may contain allergens that a particular patient cannot tolerate. 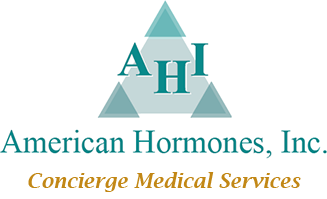 American Hormones works with your physician to create customized bioidentical hormone therapy regimes suitable for you, the patient. At your physician's direction, we can tailor the dosage amount and delivery format to meet your specific needs. Physicians can feel confident in our ability to prepare customized medications that meet specific patient needs and improve patient health.